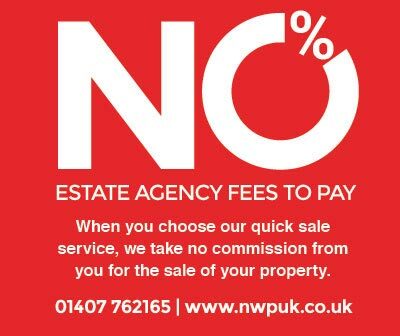 We are passionate about dealing with property, either selling or letting, and proud of the reputation we have built as a friendly, reliable, hard-working, professionally qualified reputable agent you can trust and rely on. As with our sales operation, you can be assured of a high quality pro-active and professional service, ensuring our landlords who choose a fully managed package earn money whilst remaining stress-free and able to get on with their lives. We are delighted to announce that we have teamed up with Aslets, an established and highly regarded letting agency based on Colwyn Bay, who have been handpicked by ourselves to run our management and back room operation, and thus freeing our team at Burnell’s, to do what we do best, which is to use our unrivalled experience and marketing expertise to sell and let properties as quickly as possible for our clients. Lynne and Michelle at Aslets are personable and approachable, in sync with the Burnell’s ethos. We operate at the highest of standards and are members of we are a Rent Smart Wales licensed agent. Our Valuation Department carries out Valuations of residential properties for Matrimonial/Expert Witness, Inheritance/Capital Gains Purposes, and Compulsory Purchase matters. We are part of the UK’s largest and most successful Auction Network, offering both traditional and on-line auctions, also known as “The Modern Method of Auction”. We are delighted to inform all our Clients including purchasers who ultimately buy from other agents that we have an in-house whole of market Mortgage Broker, namely Mr Geraint Jones of Jones Financial Services, who is fully independent of Burnell’s. Jones Financial Services is an appointed representative of Intrinsic Mortgage Planning Limited, Registered in England 5372217. Wakefield House, Aspect Park, Pipers Way, Swindon, Wiltshire, SN3 1SA. Intrinsic Financial Services is a holding company, subsidiaries of which are authorised and regulated by the Financial Conduct Authority. We have a close working relationship with all local solicitors and are able to obtain competitive quotations for both our Clients and buyers, including a national Conveyancing firm if preferred. Nothing is too much trouble.